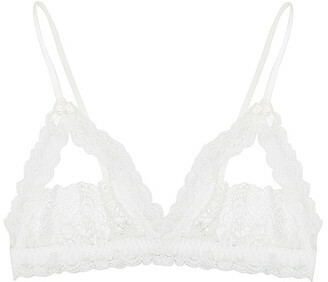 Hanky Panky's 'Stellar' bra has pretty lace soft-cups embroidered with stars. Made in a flattering triangle shape, this front-fastening style is designed without an underwire and has a smooth stretch-mesh back. The straps are adjustable, so you can tailor the fit to suit you perfectly.